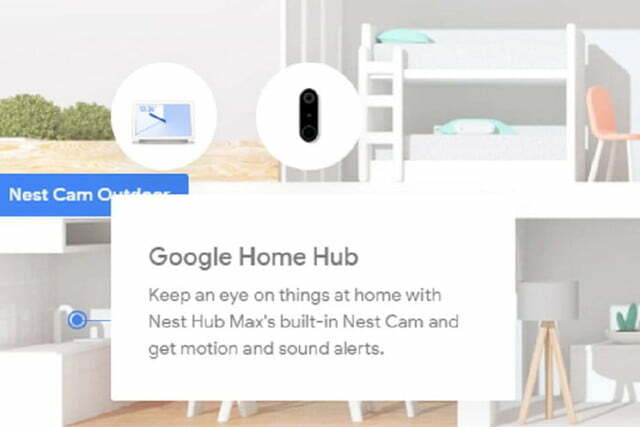 The leak was first spotted by Android Police, which discovered descriptions of a device named the Nest Hub Max within the smart home diagram in the Google Store page. Upon clicking on “Home Hub” in each of the tabs, information about the Nest Hub Max popped up. The Nest Hub Max will reportedly feature a 10-inch HD screen, stereo speakers, and a built-in Nest Cam that will enable surveillance capabilities and Duo calls with video. In comparison, the Home Hub only comes with a 7-inch screen, and was surprisingly released without a camera so Duo calls are limited to audio only. The Google Assistant-powered Home Hub, which was launched late last year with a $149 price tag, took a simple approach to the smart display. Standing at just over than 4.5 inches, the Home Hub takes up little space but provides easy smart home control. However, the screen is too small for media consumption, and its speakers produce poor sound quality. 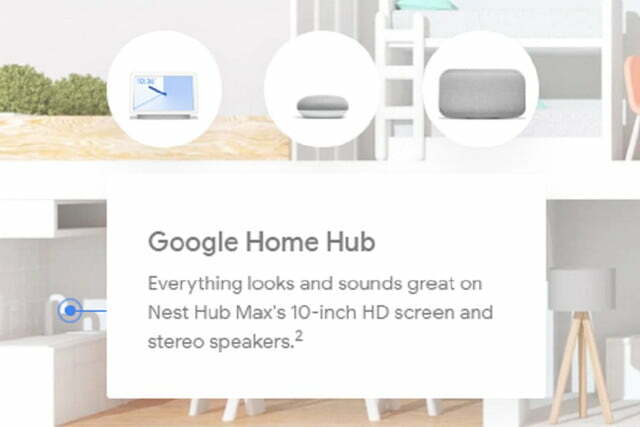 The Google Store is currently selling the Home Hub at $129, which may further decline as the release of the Nest Hub Max draws nearer. The Amazon Echo Show, with a 10-inch screen and a camera for video calls, is priced at $230, while Lenovo also offers a smart display with a 10-inch screen and Google Assistant for $249. It is expected that the Nest Hub Max, with similar specs, will be sold at a comparable price. The Nest Hub Max will apparently build upon the features of the Home Hub, though it remains unclear when Google will officially reveal the new smart display. There is the possibility that it will take the stage at the Google I/O developers conference, which will take place at the Shoreline Amphitheater in Mountain View, California from May 7 to May 9. While the rest of the details of the Nest Hub Max, including its price tag, remain unknown, the new smart display already looks like an improvement over the offerings of the Home Hub.